Have you ever outsourced part of your work abroad? If you develop software, chances are that that you have. 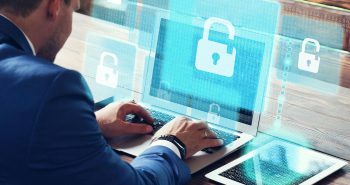 In fact, between 2013 and 2015, the number of tech firms that offshore or outsource IT services or programming has more than doubled. Now, in 2016, 38% of US based companies offshore IT and programming services. Worldwide, up to 59% of offshore and outsourcing activities are currently held in Asian countries, such as India, China and the Philippines. These countries produce good talent at an economical price, and can help a company which is strapped for cash. However, outsourcing to Asia also has its challenges. These challenges are: major time zone differences, cultural differences, and high travel expenses.. One solution to overcome these challenges is: Nearshoring! Jonajo Consulting provides nearshoring services of talent in Monterrey, Mexico. 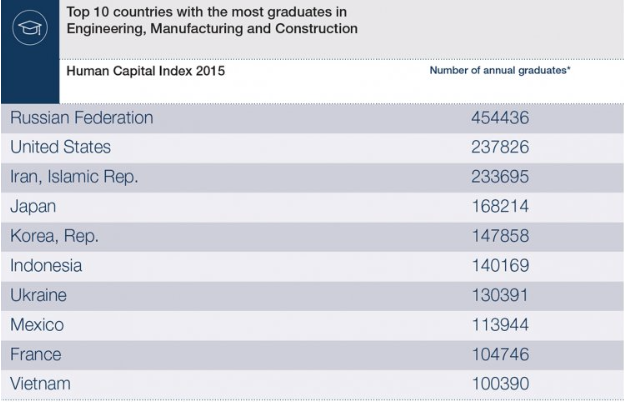 According to research of the World Economic Forum (2015), Mexico is producing graduates in engineering and technology at rates that challenge its international peers, positioning the country in eighth place, worldwide. Mexico is making an aggressive move beyond low-wage factory jobs and toward an entrepreneurial economy. Furthermore, Mexico is the only country in this top 10 that shares the same time zones as the United States. Image and source: World Economic Forum 2015 / UNESCO Institute for Statistics. One of the top cities producing high qualified graduates is Monterrey, known for its prestigious universities, including the Monterrey Institute of Technology and Higher Education (ITESM), the Regiomontana University (UR) and the University of Nuevo Leon (UANL). The quality of higher education programs and the proximity to the U.S. border contribute to a higher concentration of English speaking professionals. Jonajo Consulting laid its eyes on Monterrey because of its highly-educated, ambitious professionals. Monterrey Institute of Technology and Higher Education (ITESM) is an internationally recognized private university that teaches students the latest technologies to compete in the industry, with the highest academic standards. As its name suggests, Monterrey Institute of Technology, has hundreds of graduates each semester, from careers that are technology-related. Most of these students have had international experiences while working towards their degree. Their program often includes an international exchange study abroad where they attend classes with international students. This not only means that they acquire more knowledge but also practice their foreign language skills, specially English. Therefore, they are able to communicate with English-speaking professionals at a business professional level. A good percentage of these students also learn to speak a third (sometimes even a fourth) language which comes in handy for multi-national companies and consulting firms that have clients from all over the world. 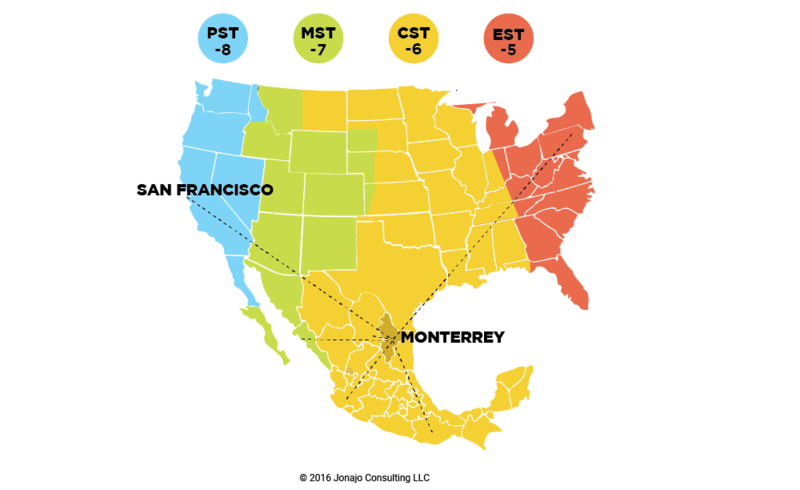 Monterrey also shares the Central Standard time zone with the US, and is only an hour or two apart from PST and EST, making communication easy between co-workers and clients. Monterrey’s central location is only 1 to 2 time zones away. Many people from other states within Mexico migrate to Monterrey to study at Monterrey Institute of Technology, making Monterrey a pool of the best professionals from all over the country, as well as innovation through diversity of thought. Finally, people in Monterrey understand the American culture very well because of their proximity to the US border and a fast growing establishment of US companies in the city. This exposure to the US culture has, in a way, expanded and at times redefined people’s lifestyle. US companies are starting to recognize the value of having a workforce in Latin and South America, specifically in Mexico, and are jumping on the “nearshoring wagon”. Jonajo Consulting has a nearshoring operation in Monterrey, Mexico, and we are eager to help provide international skills and talent to US companies. Tell us your staffing & project requirements, and we will provide skilled Mexican professionals who strive to contribute value and work with a US company: A true win-win situation. 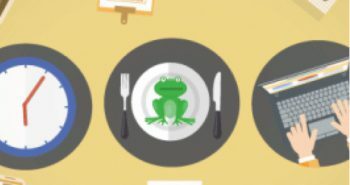 Previous post‘Eat a live frog’ in the morning….or not?